It’s been a long time coming, but today we’re excited to launch additional list fields. Our biggest single update to EmailOctopus since our launch in 2014. For the past 3 years, we’d restricted you to only storing 3 values, a first name, last name and email address. From today onwards, you can now add additional fields, chosen by you across each list. So now you can store a user’s address, number of items they’ve purchased, or age and then use each of these to personalise your emails to your subscribers. Name your field, as desired. The default value will be the value used in your email if a contact does not have a merge field value set. These fields can now be shown as required in your forms. 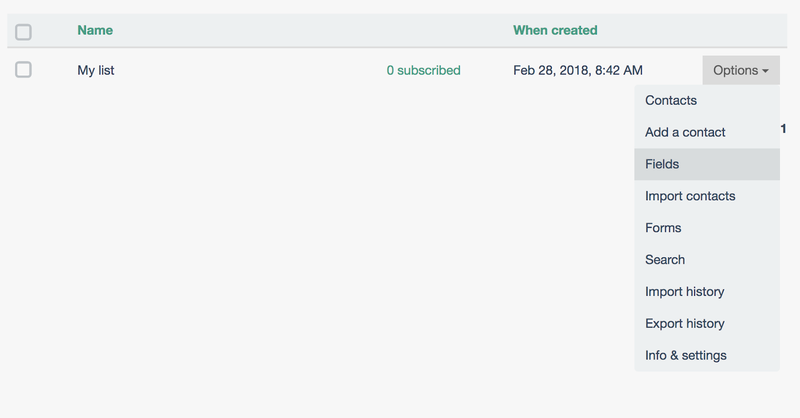 Our Zapier integration also allows you to instantly add subscriber data. Excellent news. I have been waiting for this feature for a long time.